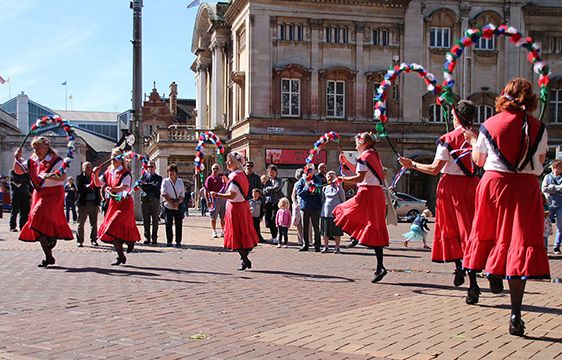 The Green Ginger Garland dancers from Hull, East Yorkshire, established more than 35 years ago, are a ladies’ side with a varied repertoire including French garland dances, north-west Morris, rope dances and even some of our own creations. We regularly dance at local and national events all year round. If you’re interested in joining, or to book us for your event, please click the ‘Contact us‘ link, or visit us on Facebook. We practise in the school hall at St Vincent’s RC Primary, Queens Road, Hull, every Thursday (apart from August) between 8-10pm.